We count ourselves extremely lucky to be only a stone’s throw away from Brixham, one of the most important fishing ports in Europe and the UK’s largest fish market. This means get some the best fish in the country for our Fish Cooking Classes. Our Fabulous Fish Class is built around the availability of this fresh, locally caught fish in perfect condition. 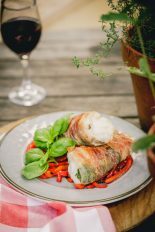 For our very popular fish class we take a wide selection of fresh, local, seasonal seafood and learn to prepare it from scratch as we discuss sourcing, how to buy the best fish and how to cook it whether steamed, pan-fried, grilled or baked. By the end of the class you’ll be confident with buying, cleaning, filleting, and we’ll show you how to cook different types of fish and seafood, both well known and less familar species, in a variety of ways that you can recreate at home. This always depends on the fish available at the time of the class. 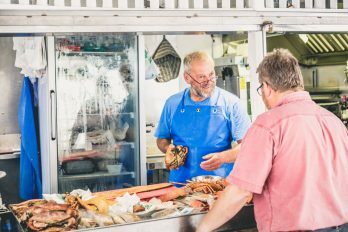 Our fishmongers, Mark Lobb and Neil Walker, have been buying fish at Brixham for their working lives and their knowledge and experience of fish and fishing in the Southwest is second to none. For our classes we will work with them to select the best fish at the market, choosing fresh fish which are in season and in great condition. 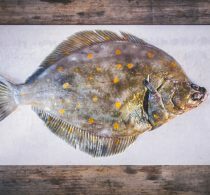 This will include some well known fish such as sole, plaice, scallops, mussels, mackerel and crab, and we’ll aim to introduce some less familiar species like hake, pollock, mullet, gurnard, squid and cuttlefish. Our classes are a combination of hands on and demonstration. We will be scaling, gutting, filleting and cleaning the fish (if you want to) as well as preparing the final dishes. 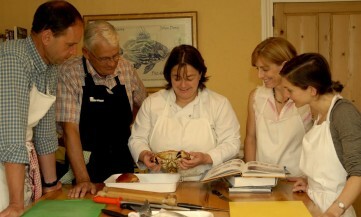 Classes are suitable for beginners and intermediate cooks wishing to become more confident with fish. Each course is limited to 7 places to allow for maximum participation; we work collaboratively in a domestic kitchen so if you want a cooking school with stainless steel individual stations, then we probably aren’t for you! 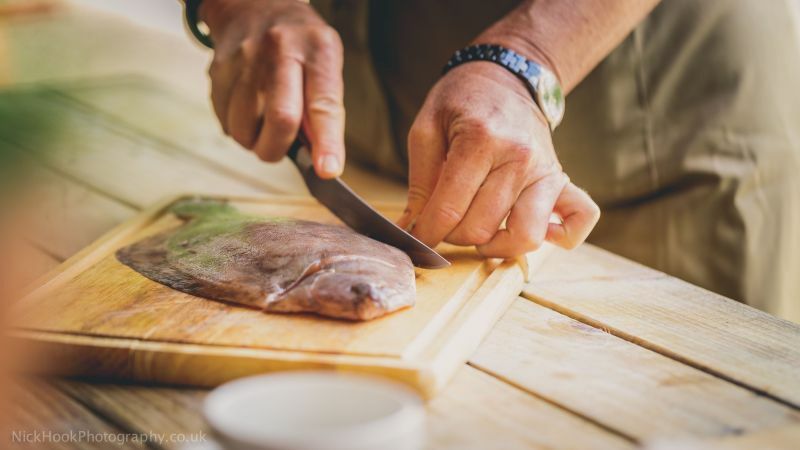 Knives: we provide everything you need for the workshop, but if you have your own fish knife with which you would like to practice please bring it along on the day.